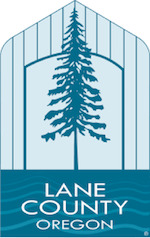 Established in January of 1851, Lane County was created from the southern part of Linn County and the eastern part of Benton county. It is one of two Oregon Counties that extend from the Pacific Ocean to the cascades, and features a portion of the Umpqua National Forest. Over 350,000 residents call Lane County home, and it is the fourth most populous county in the state of Oregon. While Eugene is the largest city and serves as the County Seat, other popular areas include Springfield, Cottage Grove, Florence and Junction City. The Lane County Circuit Courthouse is in Eugene, so if your citation directs you to this courthouse, make sure you make proper arrangements to appear as required. Lane County Circuit Court has a program for first-time DUI convictions, so if you have been charged with a DUI (sometimes referred to as a DUII), ask your attorney about participating in the Drug Court program. 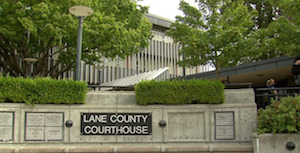 Commonly referred to as diversion, the goal of the Lane County Drug Court program is to provide low level offenders with the opportunity to improve their lives. Program participants who do all that is required by the court within one year can avoid jail sentences, have probation terminated early, and even have drug possession charges dismissed. If you are still reading, you understand that finding professional representation is something that should be strongly considered as you face DUI charges in Lane County, Oregon. Reynolds Defense Firm has a unique ability to help you, as our very own CEO and practicing attorney was arrested for a DUI over twenty years ago. He has taken his experience with the criminal justice system along with his experience as a prosecutor and a DUI attorney to design the firm he wishes was around to help him when he needed it the most. Our team of DUI lawyers has over 50 years of combined experience and knows how to read in between the lines of police reports because we have trained several officers on writing those reports. As specialists in our field who focus on one thing, we have even trained other attorneys on DUI laws so they can better serve their clients. Hire us, or hire another firm, just make sure your lawyer specializes in DUI laws and has solid relationship with members of the court in Lane County. Most importantly, make sure they understand how to use their knowledge and relationships to help you as a client, as the consequences you are facing will last far beyond the courtroom. A DUI conviction includes fines, jail time, strained relationships, barriers to employment, barriers to housing, financial strain, among many other consequences. We will continue to help our clients keep these negative consequences to a minimum, and when you show up with one of our talented DUI lawyers, it shows you are taking matters seriously and will do everything possible to address your DUI charges quickly and with integrity. The quicker you obtain legal counsel from a competent DUI attorney, the stronger your case will be when you appear before the judge. If you need help with resolving DUI charges, please contact Reynolds Defense Firm immediately for your free consultation by using your preferred communication method of choice. You can call us 24 hours per day at 503-223-3422. You can also chat or send a text message with our 24/7 live chat service. Last but certainly not least, you can submit an online form on this website. We are happy to answer your questions and figure out the best course of action for you and your family.